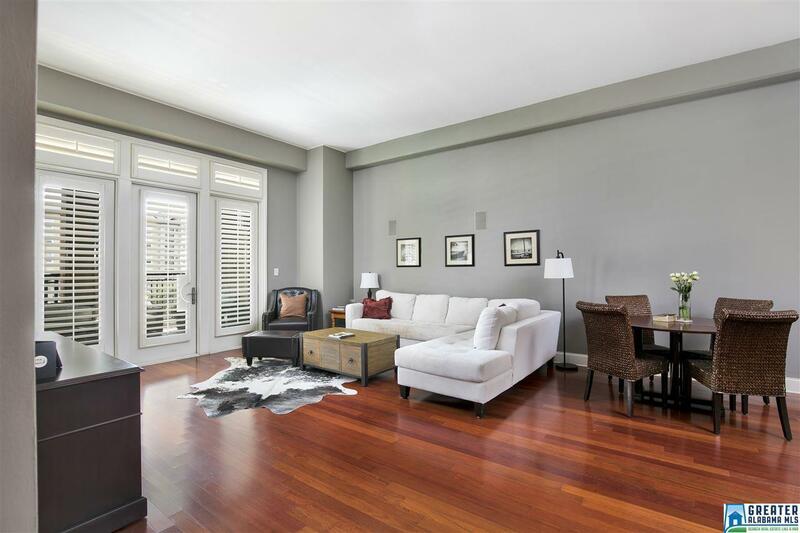 Wonderful condo in SOHO Square with an oversized covered patio that will soon look over a Park/Green space. Two bedroom, two bath with soaring ceilings, and one assigned parking space in the garage. Walking distance to local shopping, dining and entertainment. Within minutes of driving distance of downtown and UAB.